Karaoke Brisbane East Serves Up Plenty of Fun! Karaoke Brisbane East Has It All- Punk - Classic - Rock - Gangham Style! 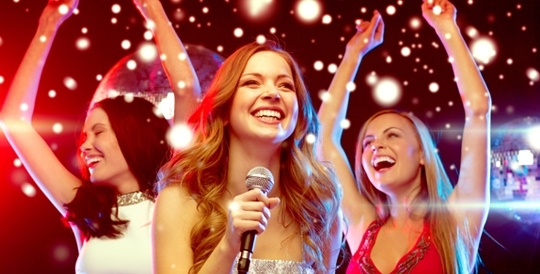 Karaoke Brisbane East pubs and clubs boast extensive song lists with mega sound systems suitable for all types of karaoke singers. Love to yelp, bark, rap and/or croon or sometimes maybe just sing? No worries as you can choose from Punk to Classic Rock—Cool Country to R&B— Rap to Romantic Ballads. Jazz, Big Band, Musicals, Easy Listening, Classical, Opera and many more. Get the crowd behind you with your very own rendition of Psy’s Gangnam Stylem including the famous dance moves! For those new to karaoke; singing via karaoke on stage with on-screen lyrics is easy and it’s certainly more fun than you can imagine! Go it alone or with a group of friends. Just be sure to give karaoke a go.